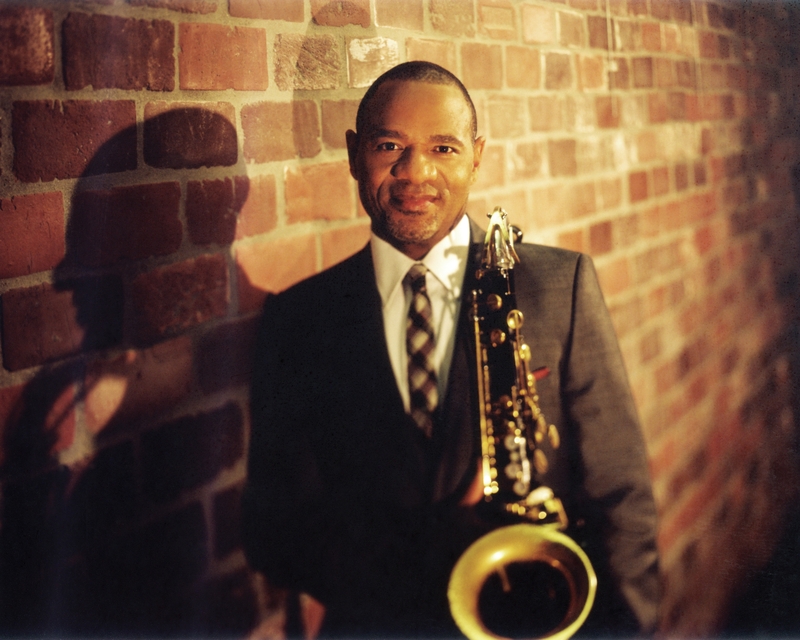 Many of you were introduced to Wilmer “Wil” Cooksey, Jr., through my exclusive interview with him in 2003. 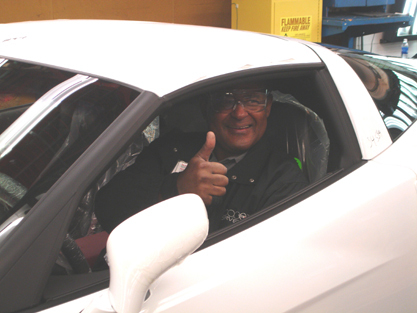 Mr. Cooksey was named manager of the world’s only Corvette plant in February of 1993. As a lifelong fan of the car, it was a dream job come true. Last year, Wilmer Cooksey, Jr. was inducted into the Corvette Hall of Fame. Here is my original interview with Mr. Cooksey conducted in 2003. 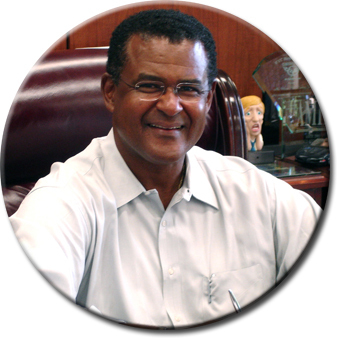 Click here to read a book review of “No Time To Cry,” by Wilmer Cooksey, Jr.
Wilmer Cooksey, Jr. served as Corvette Plant Manager from February of 1993 until his retirement in March 2008. As the first African-American to earn the position and the man who held it the longest, he brought a life-long love of Corvette to the job. Believing in the phrase that “none of us are as smart as all of us,” he worked with the United Auto Workers Union and listened to customers to make the Corvette exceed the expectations of all who dreamed of having one someday. Across America, in the inner-city and in suburbia, single mothers struggle with raising boys alone. This issue has clearly emerged as one of the most consequential trends facing society today. 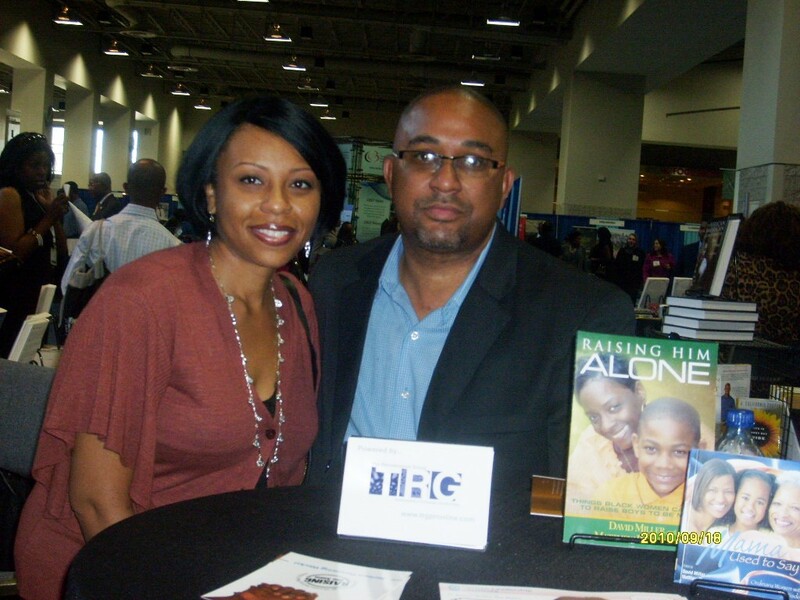 And David Miller, co-author of the book, Raising Him Alone, is on a personal mission, standing watch, doing his part to support single mothers – Black single mothers in particular – and the positive development of Black males. During my interview with Miller at the 2010 National Congressional Black Caucus Book Pavilion, his passion was contagious. Miller’s vision is for the well being of everyone involved in the struggle from the son to the mother or caregiver to the absent-father alike. Therefore, it is only natural that he would be co-founder of the Raising Him Alone Campaign, a national movement that executes the foundational principles he and co-author Matthew P. Stevens address in their book [Raising Him Alone]. Miller shared with me insights about the book, the campaign, and the community activities and resources dedicated to inspire and inform the millions of single mothers who struggle daily with the challenges of raising boys. BMIA: What is the Raising Him Alone campaign about? D. Miller: The campaign is a movement to provide greater access to resources for single mothers and grandmothers throughout this country. BMIA: Where does your passion for this movement or your connection to this issue come from? D. Miller: When I was a freshman in college, my best friend was shot and killed standing next to me and I was 19-years-old. I was at Morgan, he was at Morehouse; some guys tried to rob us…they shot my friend in the back and he died in my arms. And since then I’ve dedicated my life to really improving the lives of children and families in this country. And so, I’m real clear that we’ve got to do this work in our communities, or else we’re not going to make it. BMIA: When does the campaign kick-off? 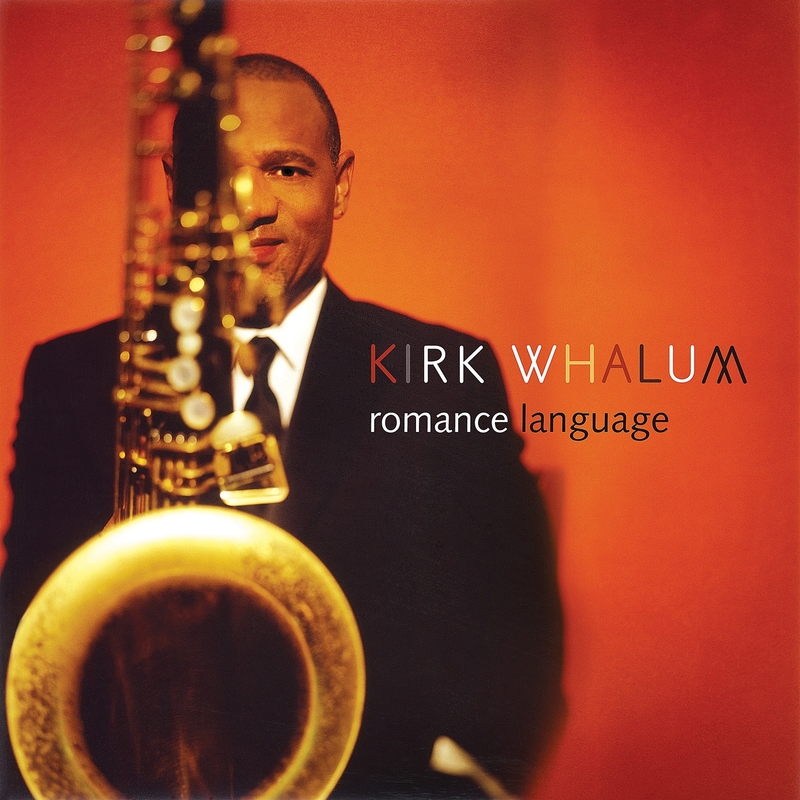 D. Miller: The campaign kicked-off in January 2009. We did a major launch in two cities: Baltimore and Newark, New Jersey. I invited some dynamic mothers who’ve raised sons to come and help me kick it off. Common’s [rapper, actor] mother, Dr. Mahalia Hines; Mos Def’s [rapper, actor] mother, Sheron Smith; and Talib Kweli’s [rapper, activist] mother, Dr. Brenda Greene. I brought them on-board to help me launch the two cities, and now we’ve expanded to Chicago and Philadelphia. These are our four main cities. But we’re working in communities across this country really doing some very interesting viable Web-based things like using Facebook to create discussion groups with moms. We’re creating a tremendous movement around serious parenting. BMIA: What has been the response to campaign? D. Miller: The response has been absolutely overwhelming. We average about forty phone calls and E-mails a week from mothers who are in some of the roughest parts of say, maybe Memphis, DC, or Newark, New Jersey, to moms that have MBA degrees, PhD degrees from excellent colleges and universities, who got divorced and for whatever reason, dad hasn’t stepped up. And so it’s been an amazing cross-section of parents from different socioeconomic backgrounds. BMIA: Have you in any way included fathers in the campaign? D. Miller: Yes. 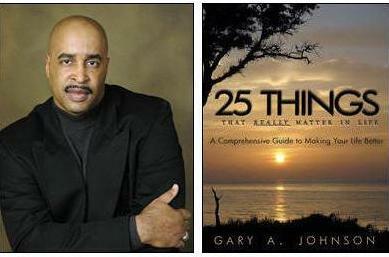 Historically, my background is I’ve written two other books about responsible fatherhood. And so, year one was really to launch the campaign and raise money. Year two has really been focused on launching the largest responsible fatherhood Web site you’ll find in this country which we’re gonna try to connect it with President Obama’s Responsible Fatherhood Initiative. I was in Washington three weeks ago speaking to all of the federal grantees that received responsible fatherhood money. The Web site is going to be for any dad: married dads, divorced dads, military; dads that are incarcerated, to really talk about what does it mean to be an exceptional father. And so dads are an integral part of the campaign. BMIA: What type of information can single mothers expect from the book, Raising Him Alone? D. Miller: In the book, we kind of roll out a blueprint of how to raise a son, as well as things like mentoring. Susan Taylor has a national initiative; Michael Baisden has a national initiative on mentoring. The reality is in all those initiatives, we’ve not gotten enough black and brown men to sign up and honor their commitment. So one of the things we talk about is, while we’re trying to find a mentor for the boy, there’s things mom has to do in the home. For example, number one is the boy can never be the man of the house. That’s a mistake that I think mothers make, particularly as boys get to adolescence. Moms say you’re the man of the house because your father is not here. And what happens with a lot of boys is they think because dad’s not here I need to step up and bring money in. So a lot of boys will start steeling cars, selling drugs… You start to see a lot of pathologies exist because mom has told this 13-year-old that he’s man of the house. So a lot of what we’re trying to do is really work with community-based organizations and work with schools. We’ve created an awesome learning community so mothers can go to our Web site, sign up and they can receive free text messages, free voicemail message about being a good parent…about financial literacy tips. We send out an e-mail blast that goes out to about 11,000 mothers and grandmothers across the country. We’ve created a Facebook group, Single Mothers Raising Boys, with over 1,000 mothers connected to that. The goal is also connecting mothers to resources, things like mental health; things like credit repair; a lot of stuff on co-parenting. I mean when you look at the divorce rates in our community, we’re in trouble. We’re in serious trouble. BMIA: Have you had any testimonials on the impact of the work you’re doing? D. Miller: We’ve had some amazing testimonials. I’ll start with Ms. Mildred, a 74-year-old great-grandmother living in the projects in the West Ward in Newark, raising five boys by herself… hypertension and diabetes. When we went to go interview Ms Mildred, we were able to stop her from getting evicted from her apartment. We were able to connect her to free mental health services for both herself and for those boys. Even though the boys are all under 12-years-old, you started to really see some behavioral challenges with those boys. We can document many of the families that we’ve reached as well as the dads that we’ve reached. And that’s one of the reasons why we decided to create the fatherhood Web site. We met a brother in Michigan whose children lived in Atlanta, Georgia and we were able to re-connect him with his children. Because he was a long distance dad, we were able to work with him and work with the mom to develop some strategies. One of the first things we did was recommend that the dad buy a cell phone and mail it to the boy so the boy could call his dad. But we had to go through the mom to help her work through her own issues because they didn’t get married to say, this is something that can happen. And so, even being able to work through something as simple as communication with the father and son is another example. The Raising Him Alone Campaign seeks to create a larger community dialogue around the importance of supporting single mothers raising boys. Through partnerships with a host of organizations, they are mobilizing single mothers and absent-fathers to save our future, particularly our boys. The siren is blaring. The call to engage the issues in raising healthy, positive boys demands our attention. What price will society ultimately play if this trend continues? The clock is ticking. To learn more about Raising Him Alone, the book, and the work co-founders, David Miller and Matthew P. Stevens are doing with the Raising Him Alone Campaign, visit www.RaisingHimAlone.com. David C. Miller, M.Ed. is the co-founder and Chief Visionary Officer of the Urban Leadership Institute, LLC, (www.urbanyouth.org) a social enterprise that focuses on developing positive youth development strategies. ULI provides strategic planning, professional development, positive youth development concepts and crisis management services. Thank you Lee McDonald from The Renaissance Group (TRG) for making this interview possible. Mildred D. Muhammad is the ex-wife of John Allen Muhammad – the convicted and recently executed DC sniper who terrorized the Washington DC metropolitan area in late 2002. After several years of silence, Mildred decided to speak openly about her day-to-day experiences as a survivor of domestic violence and how it affected her three children. I had seen Mildred’s interviews on CNN and FOX News. Some of the questions appeared to be anything but “fair and balanced” and the interviews were short. There wasn’t enough time for Mildred to adequately address the questions. I decided to reach out to Mildred to give her an opportunity to tell her story uninterrupted. Mildred agreed to an unscripted and unrehearsed interview. I assigned this task to Janice Wilson and off we went to tape the interview at Mildred’s office a few weeks ago (December 2009). We divided the interview into six parts. Part One of the interview is listed below. As you watch and listen to Mildred’s story you will learn that Mildred did not seek the limelight. She was thrust into the spotlight because her former husband was John Allen Muhammad. 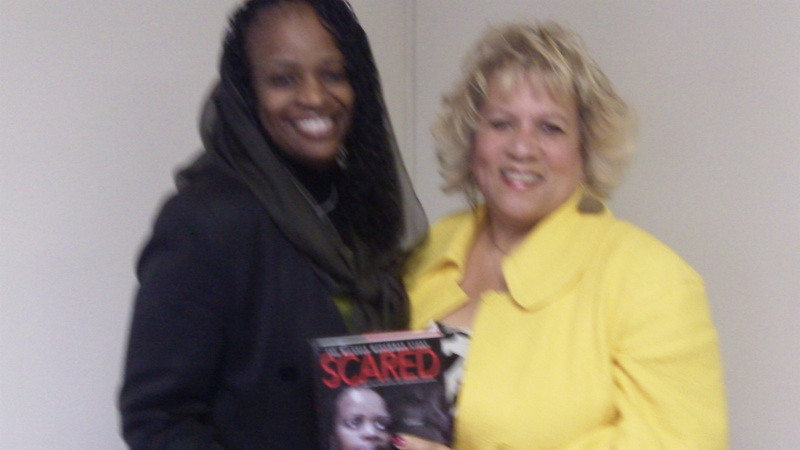 Mildred new book, “Scared Silent,” details her her day-to-day experiences as a survivor of domestic violence and how it affected her three children. A lot has been said about Mildred and why she wrote this book. Mildred has dedicated her life to helping survivors of domestic violence and abuse. I believe in telling her story, she is doing the work of others. Don’t take my word for it, watch and listen for yourself. Mildred has agreed to write a monthly column on surviving domestic violence and abuse. 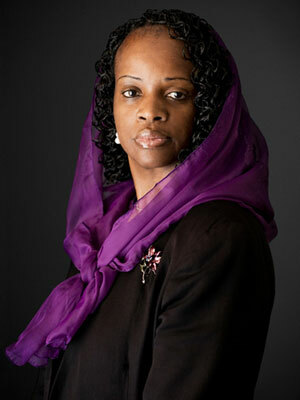 You can read her column and buy her book on the main web site at www.blackmeninamerica.com/abuse.htm. Any thoughts about Mildred and her story? Click on the links below to watch Janice Wilson’s exclusive six part interview with Mildred Muhammad. Hey Buddy!, I found this information for you: "INTERVIEWS". Here is the website link: https://blackmeninamerica.com/interviews/. Thank you.